Staircase access via door to first floor. From our Walter Road Office proceed to East towards the City Centre on to the one way system. left on Park Terrace, the property can be found on the right. 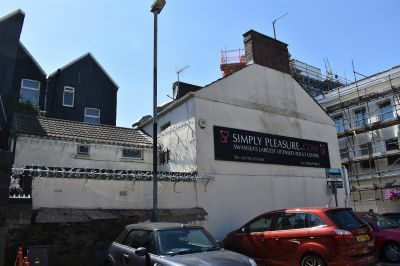 Situated in the heart of Swansea City Centre we are pleased to present this investment opportunity an end of terrace property with A1 Planning Consent. We are led to believe the Net Internal Area of the property is 121.57m2. The property comprises of show room to the ground floor and to the first floor a storage area with wash facilities and w.c. The property is currently tenanted by a Limited Company at a passing rent of £20,000 per annum held under a 5 year lease (please consult legal pack for more information). Current Rateable Value is £17,250. Viewings by appointment only. Access off Park Street via uPVC double glazed door in to porch. Access from porch in to show room. Access to a range of storage areas with potential for a range of other uses. Wash facilities and W.C.
From our Walter Road Office proceed to East towards the City Centre on to the one way system. Turn right on to Craddock Street and continue straight at the traffic lights on to Union Street. Turn left on Park Terrace, the property can be found on the right.